Can’t decide between the look of silver or gold? We don’t blame you! 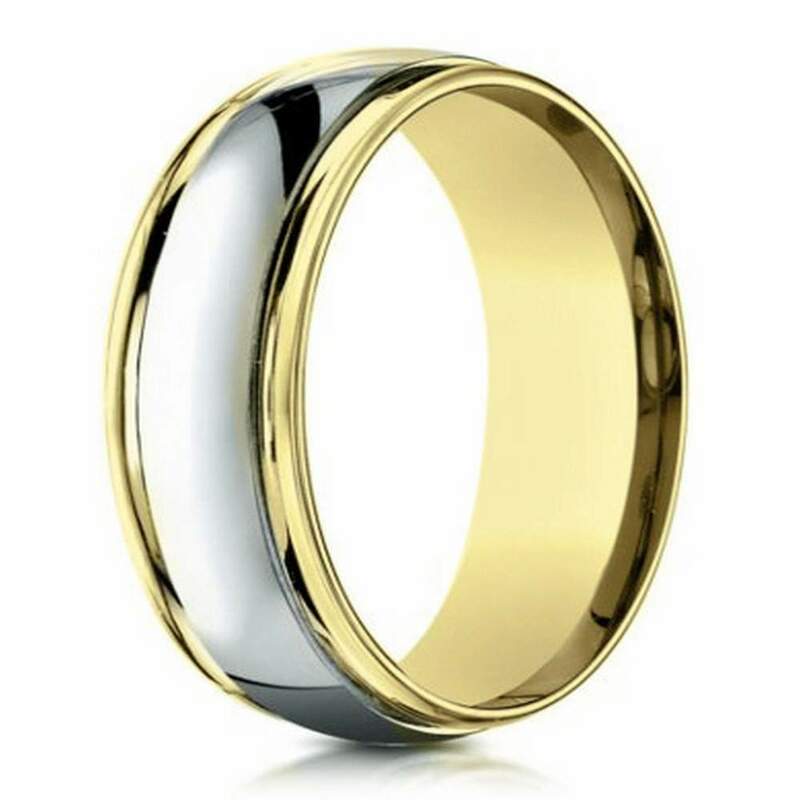 That’s why JustMensRings.com offers a men’s designer 6mm two-toned polished finish 14k yellow and white gold wedding band. This ring is the perfect solution for a modern groom with an eclectic sense of style. With a silvery white center that’s beautifully accentuated by gold edges, you can feel free to wear anything your heart desires. Each designer 6mm two-toned polished finish 14k yellow and white gold wedding band we offer is also eligible for engraving. We allow up to 30 characters per engraving, providing ample space to leave a lasting message that you and your sweetheart can treasure for years to come. We offer a wide variety of sizes and half sizes. 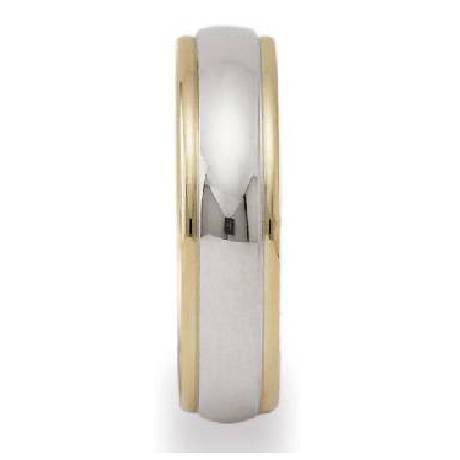 The men’s designer 6mm two-toned polished finish 14k yellow and white gold wedding band features a comfort-fit band, which is great news for grooms with larger knuckles. Comfort-fit bands ensure ease of wear, but they tend to measure a half size smaller than their traditional counterparts. We recommend that you visit a professional jeweler to have your ring finger sized for accuracy. If a comfort-fit ring is right for you, look no further than our designer 6mm two-toned polished finish 14k yellow and white gold wedding band. Best of all, this designer ring comes in a beautiful gift box to keep the ring safe until the big day. If you have any questions or concerns, please contact us today to speak with a jewelry representative.